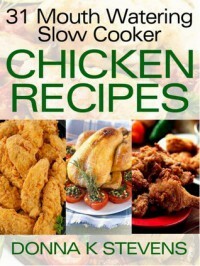 Having owned a slow cooker for some years, it’s always a treat to find another mouth-watering recipe book to try out. Chicken from the slow cooker has always been one of my favourites, and this book has some amazing recipes that I’m testing my way through. So far my favourite is the Pineapple Ginger Chicken. The variety of recipes in here will appeal to just about any taste and cooking culture. Chapter four with its chicken and cheese recipes were an instant win with my kids and their simplicity, and the time it saved me was a bonus. This is a great book to gift the cook in your life, or if you’re just starting out with a new slow cooker. These recipes are not to be missed!